How to Guest Post for My Blog! 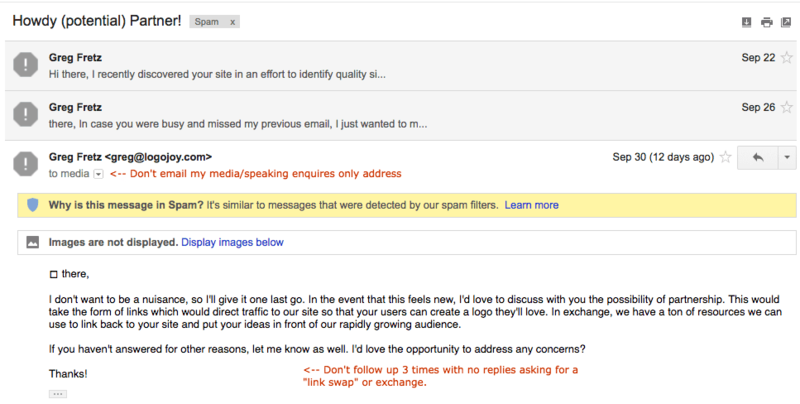 Everyday I get dozens of emails asking if they can guest post for JohnnyFD.com or become a contributor. 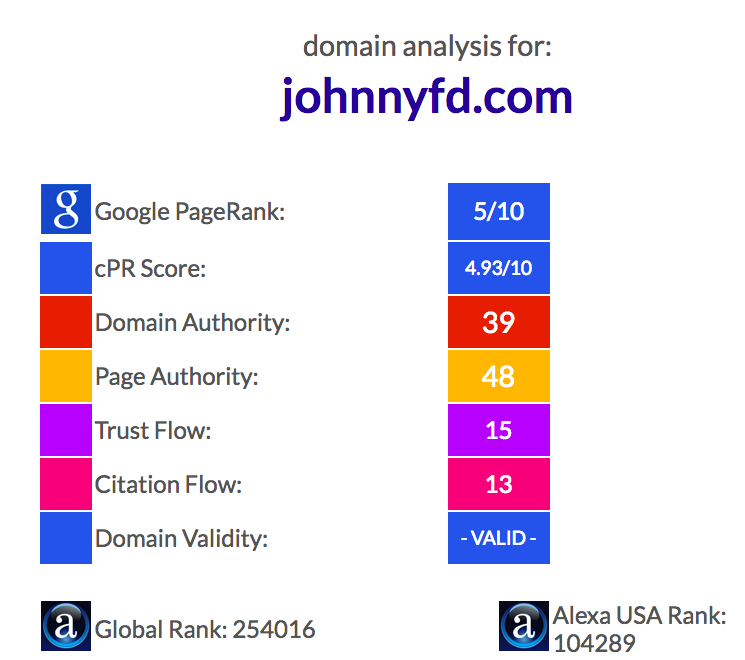 I'm not actually sure how people find me or why people decide to reach out to me specifically, but it probably has to do with my google page rank being a PR5, or that Alexia ranks my blog as one of the top 100,000 websites in the USA. Either way, I'm sure getting a link from my site helps them boost up their own rankings and SEO and would be super valuable. I don't know which course or guru started teaching strategies to cold email blog owners asking them if they could guest post, but it's grown in popularity recently and not a day goes by without me getting a request. I'm excited to announce, that as of today, I am going to start accepting certain guest posts. But here's the thing, they all go about it the wrong way, and chances are, their emails get ignored, deleted, or sometimes even marked as spam because they often are. If you're a blogger that has cold emailed authority sites asking if you could guest post for them, chances are, you are ruining your domain authority and email deliverability by sending out cold emails and getting flagged, especially when you follow up 2-3 times. This means that even if 1 in 50 people reply to your email and allow you to guest post, that means that 49 other people are potentially marking your domain and email as spam which is terrible. Your question might now, what should I do instead? How can I guest post for this site, or other blogs like yours if I can't even reach out by email? 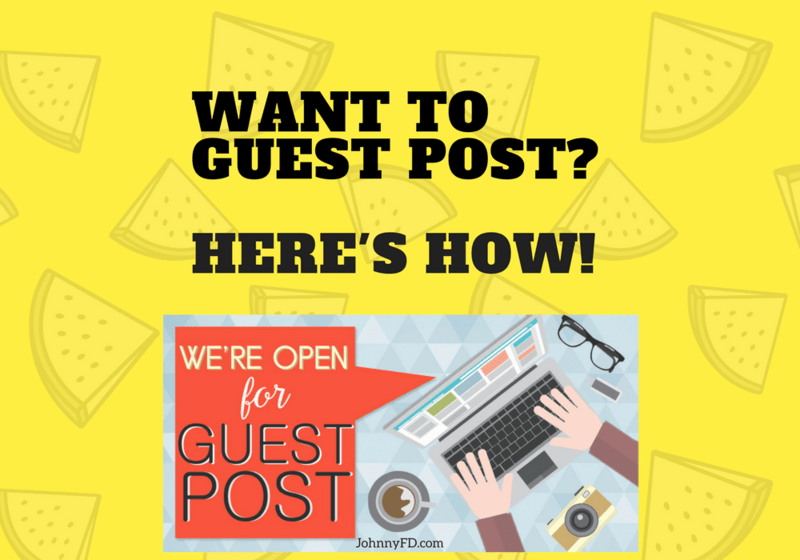 The answer is simple, and in this blog post I'm going to teach you step by step exactly how you can guest post for my site as well as other high authority, high ranking sites as well. You're welcome to write for us, contribute, or submit your guest post to us here, keep reading to find out how. One of the easiest ways to get your own blog or website to rank higher is to get someone with a more established blog to vouch for you by linking to you. If you can get a link from a site like Huffington Post, Business Insider, Entrepreneur, Forbes, Mashable, LifeHacker, etc. that's best, as it's like Arianna Huffington personally telling her friends and followers about you. But if you can't get a direct link from them, the second best choice is to get a link by someone who's gotten a link from them already. It's like having someone who Arianna or Business Insider vouched for, then vouch you. Having that link is valuable in two ways, the first is the visitors you'll get from the link itself, and second is the backlink ranking boost you'll get site wide, even for people who never see the article you wrote. As an example, getting links from The Professional Hobo, Jeff Bullas, Art of Blog, and Business Insider has given me both a boost in traffic from readers of the blog post itself, but also since they have higher page authority and domain authority than I do, it has pulled me up in rankings close to them. By guest posting for JohnnyFD.com, I'll be able to pull your site up closer to mine in rankings as well. Using software like to check my own ranking compared to others and what it actually means to be a PR5. SEO "gurus" say that PR doesn't matter as much as it used to, as they are correct. SEO Ranking is a combination of many factors as a combination. PR5 – Good. On the 1st page of some search terms. PR6 – Great. You'll be on the 1st position of certain terms. PR7 – Top. The limit for small or medium size companies. 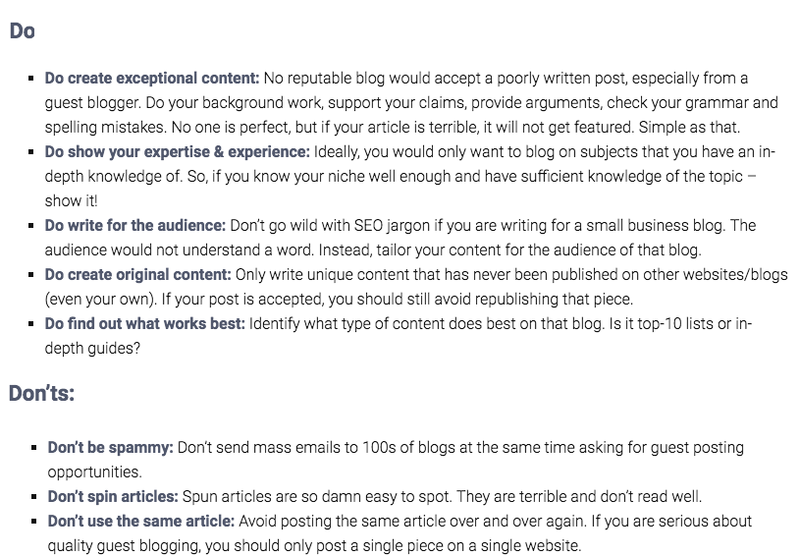 Here are examples of what not to do when emailing a blog or website owner asking them to guest post or be featured. Whatever course, guru or forum told you that it's a good idea to cold solicit guest posts is wrong as by doing so without first commenting on their blog, or being active on social media with them, you come across as spam. You'll also get auto flagged as spam if you send cold emails with tons of links, form letters, or asking for link exchanges, swaps, etc. 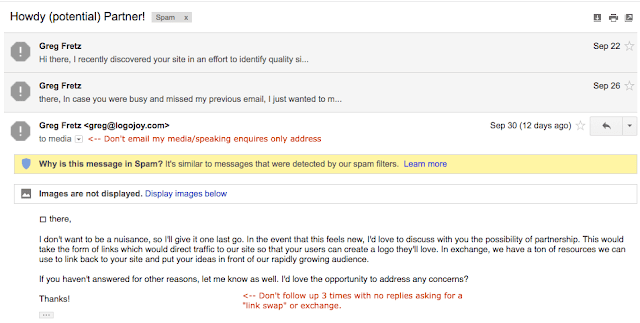 I also have a feeling that your domain itself will start getting penalized if your email address is associated with spamming people. Read the text in red for what not to do when reaching out. As a tip, whenever emailing anyone, don't say the words, "I know you're busy" or "I don't want to bother you" as chances are, you're doing just that. If you have something legitimate to offer, or have real value to give or exchange, then just get straight to the point. If you don't know what i'm talking about when it, read the book Give and Take: Why Helping Others Drives Our Success for a lesson on abundance vs. taking. 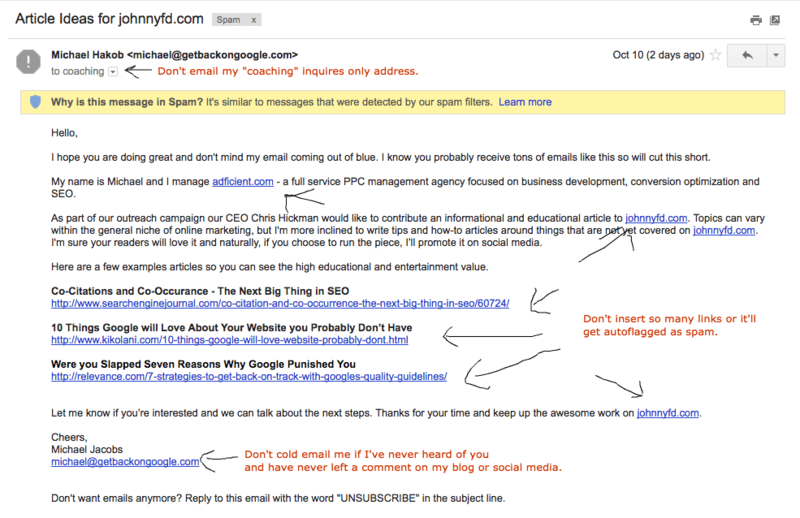 Here's another example of an email that got auto flagged as spam because they did the same thing the above email did, but then "followed up" three more times when they were ignored. I normally don't accept sponsored posts as I don't promote things just for the money. If you want to have me try out your digital product or software, feel free to email me a login and password and if it fits my needs or audience I'll check it out and possibly mention or review it if it's a good fit. 1. A link to the product/service/website you want included. 2. A link to a previous blog of mine where you can see the product fitting and an offer. 3. If you want a new blog post, the offer needs to be over $1,000 to be considered. You cannot buy a link from my site, but you can buy my attention and if I like the product and think it would be a good offer, I will happily do-follow link to your product free of charge, that is what you are paying for. If you want a no-follow link, then i'm happy to take sponsorship money and make it an advertisement, send me an offer in the first email. My email is sponsored@johnnyfd.com for sponsored posts only. It's difficult for me currently receive physical products in the mail as I'm traveling so the answer is always going to be no if it's something I could find from Aliexpress that is rebranded. Only email me if it's an amazing unique product that is unique and not found on Aliexpress, and I'd be happy to look at it and possibly review it, no guarantees. My Email is products@johnnyfd.com for product reviews only. So now that you know it's a great idea to guest post, and how not to reach out to me and other "influencers", why would I allow anyone to do it on my site? Well first off, even though JohnnyFD.com is my personal blog, it's grown in recent years to become more than that. It's quickly become an authority site on online business, drop shipping, affiliate marketing, blogging, location independent entrepreneurs, and digital nomads. As much as I genuinely enjoy writing on my blog and will never stop writing my own posts, you may have noticed that I only have time to publish one or two new posts a month even though there is a ton to write about. 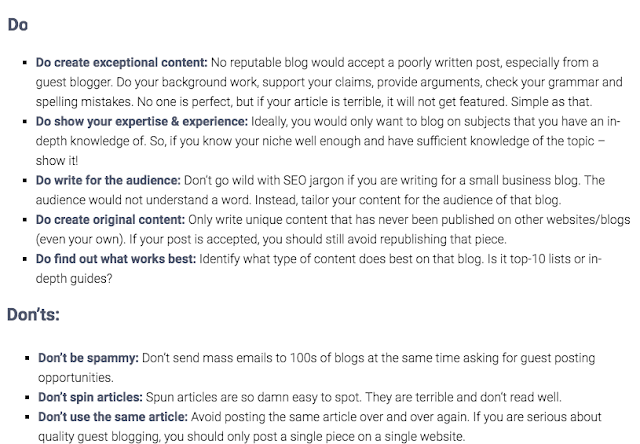 One of the biggest pro tips for getting accepted as a guest poster for a site is to ask the blog owner what topics they want instead of suggesting something that really has nothing to do with their site or audience. To make it easier for you, I'm going to keep this blog post updated with blog post topics I'd be happy to have someone guest post about. List of Top Digital Nomad Events and Conferences, with photos, and a summary of the what makes each event unique. List of All Digital Nomad forums, facebook groups, meetup groups, etc, world wide. List of the Top Digital Nomad Podcasts, with a summary of what makes the podcast good, unique, and what some of the tips were from the best episodes. List of the Top Digital Nomad Destinations, that well traveled digital nomads actually go to, not just hypothetical ones like nomad list, with a summary of what makes it good, which bloggers or nomads have actually been there and links to their write ups about the place. List of the Best Passive Income Streams or for location independent entrepreneurs or digital nomads, along with examples or how to get started. List of the best Travel Like a Boss Podcast episodes which summaries of what you learned from each. List of the best Blog posts from JohnnyFD.com with a summary of what you learned from each. List of the best Digital Nomad Books, and a summary of what you learned from each. List of Updated Income Reports from the Top Bloggers or Nomads who share them. All posts must be the same format and quality of my other blog posts, which means, a minimum of 4 unique photos, sharable cover photo with text, with a 2,200 word minimum. Posts must be unique content not posted anywhere else, spun, or otherwise gamed. You're not allowed to link to any shady products, gambling sites, or anything else I wouldn't want my blog associated with, but you are allowed to link to your blog or website in your bio as well as in the article itself if relevant and I will happily share the post on my social media and email list. 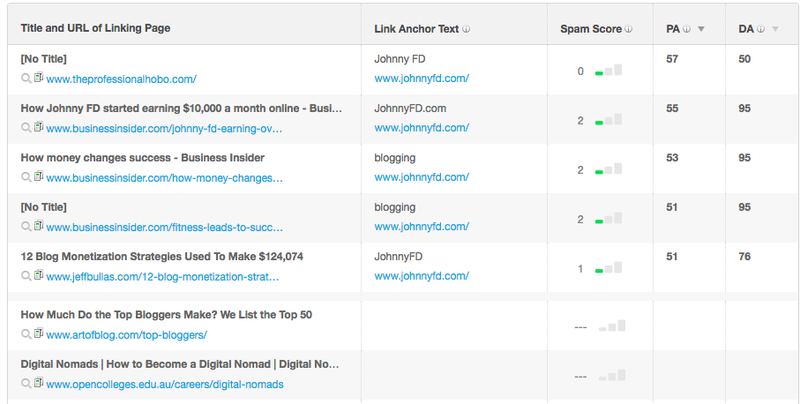 That being said, writing for JohnnyFD.com shouldn't just be about the backlink, if that's all you care about, you can buy one somewhere else. I want good quality content that my readers will actually enjoy reading, share, and be happy they found. You in turn will be rewarded with not only an SEO boost, but also real readers that will want to check our your blog or website, follow you on social media, and sign up for your email list, or possibly even want to attend your event, listen to your podcast, or buy your product. 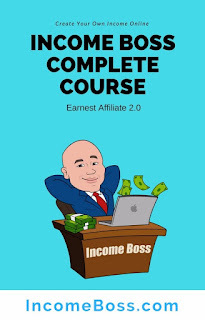 If you don't have a website, blog, or your own traffic yet, or you don't see the value in building your brand or writing a 2,000+ word article, then I'd suggest you first go through my course Income Boss as you'll quickly see how valuable a well written blog post is to the right audience and how bloggers like myself make a full time living and often well over $100,000 a year from blogging. 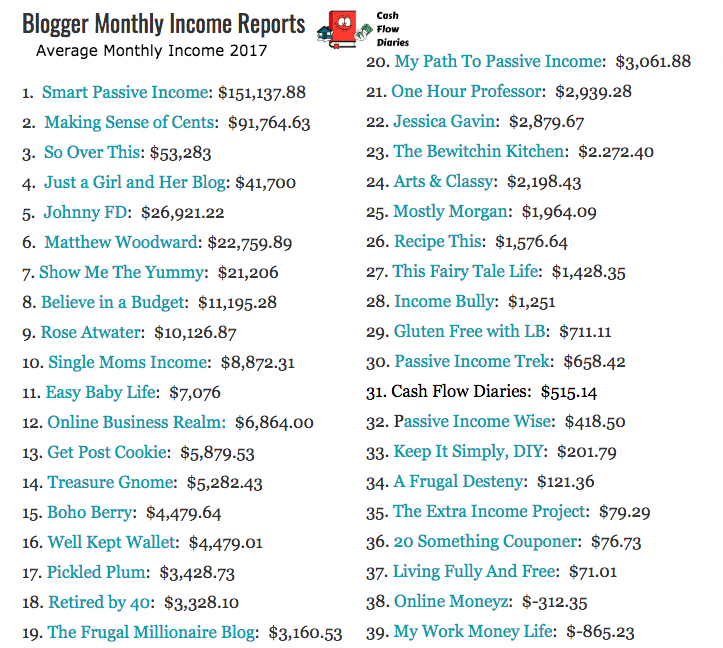 Here is a list of income from bloggers complicated by the guys at Cash Flow Diaries. I'm honestly bit worried how much guest post requests I'm going to get after publishing them by people who never actually read this post and just want to spam as many blogs as possible in hopes to get someone to say yes. But I also know that there are going to be at least a few of you who genuinely want to produce good quality content and are thinking about this in the long run. If you have questions about guest posting, topic ideas not listed above or other inquiries, please leave a comment below. I am no longer accepting guest posts. 1. The Topic and Headline. 2. Bullet points on the subject. 3. How many words you plan on writing. 4. What url you want to link to. I will check out the url you want linked to and if the blog, website, or product is something that I think is valuable to my readers, I'll reply with "go ahead." You can then write the guest post, share it with me as a google doc, and I will publish it within 2 weeks if it's good. If your post isn't accepted or you don't hear back after 2 weeks, feel free to post it somewhere else. If you don't have your own blog yet and want to learn how to start one, check out my new course Blogging Bootcamp, which is the the first 15 foundational videos of my full course Income Boss. Hope to see you inside the courses and hopefully on my blog! Remember, if you're going to go through all that trouble to reach out to other blogs to hopefully guest post on, why not just start your own and follow the proven traffic strategies that I teach inside the course that has allowed me to get over 40,000 unique visitors a month without guest posting! Hey Johnny great post as always! Haven't stopped by here a while but read your email and was curious to read the post. Glad I read it! Good article, Johnny. I am just finally starting a blog so this was helpful. I don't have a resource worthy of sharing on your site yet, but it's got me inspired to work hard and build a valuable blog/site! I have read every word in your post. Your tips are very useful, I have noted it to remember. Your request is also very interesting, I want to send you an email request right away but a 2k2 word post will take some time. I'm just a beginner so ... I'm very happy to receive your feedback. Awesome article Johnny. This is full of good data and background. Keep up the awesome work. This helped me a lot.